Dr John Stanton, a Senior Lecturer in The City Law School, critically examines Government’s promise to grant local authorities greater powers of self-sufficiency. Over the past 20 years, successive governments have entered power with promises to decentralise power and enhance local autonomy. Yet the fact that parties keep making such pledges is testament to their lack of success in reinvigorating local authorities. Now, local government secretary Greg Clark claims to have found the answer: by 2020, local authorities will be financially self-sufficient, with funding from local revenue sources such as council tax and business rates to take the place of government grants. With this latest package, the government claims to deliver what local councils have been campaigning for. But then, so did David Cameron’s “Big Society”, and the coalition government’s broader localism agenda. When in power from 2010 to 2015, the coalition proffered a rejection of big government, a reduction in centralised bureaucracy and a significant shift of power from the centre, to councils, communities and people. To find out what local authorities have made of all this, I conducted a study in local borough councils across London. The research involved interviews with seven local councillors in five boroughs (Hackney, Islington, Kensington and Chelsea, Richmond and Sutton), focusing on matters such as decentralisation, citizen empowerment, local planning and central/local relations. I found that the unfolding of the last government’s localism agenda presented some deep-rooted issues with the relationship between local and central government. The councillors I interviewed spoke at length about the failure of the coalition government to decentralise power and autonomy to the local level. As my study explains: “When asked, in simple terms, whether the coalition had brought about the decentralisation of power, nearly all the local councillors … offered a resounding ‘no’.” Though legislation like the Localism Act 2011 brought in new powers and rights for councils and communities, in practice councils remain restrained and heavily supervised by central government. This is because the 2011 act created substantial new powers for the secretary of state to oversee and direct the way that councils and communities use provisions designed for local benefit. For example, the secretary of state has an overriding say in whether councils can take over the running of local services under the act’s “community right to challenge”. My study found that despite central government’s various efforts to decentralise, “councils do not feel that they have been the beneficiaries of any substantial power”. As a result, I concluded that the government needs to adopt “a changed attitude towards local government; one founded on greater freedom, less bureaucracy and increased trust in local authorities”. A new age of localism? The current Conservative government can and should take something from these findings to ensure that future reforms to local institutions are meaningful and effective. To a point, it does seem to be doing this: the cities and local government devolution bill and, with it, George Osborne’s Northern Powerhouse policy give coalitions of local authorities the opportunity to negotiate devolutionary “deals” with the centre. Under these deals, councils will have the freedom to shape their own relationships with Whitehall, and the ability to take on further powers over local services. These extra powers will be subject to the acceptance of a directly-elected mayor – a caveat intended to give stronger leadership and greater accountability to the new city regions. While framed as introducing a more bottom-up approach, however, the new bill’s provisions still have an air of central imposition about them, with central government potentially having the power to decide the nature of any devolution and the ability to force the adoption of directly elected mayors on reluctant councils. Manchester, Sheffield and a number of others have already started work within this northern powerhouse vision. And back in July 2015, Cornwall also struck a devolution deal with Whitehall, which saw the decentralisation of various powers, so we will soon see for ourselves how far these reforms have gone towards improving the state of localism in England. But last month’s announcement of further cuts to local money will no doubt make life increasingly difficult for councils, as they are encouraged to fend for themselves. 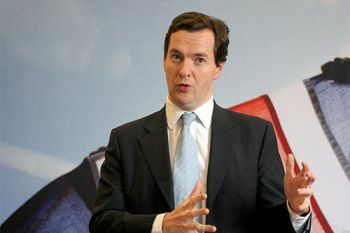 Osborne’s pledge to facilitate a “devolution revolution” also means that by the end of the decade, councils will be allowed to keep funds raised from the collection of local business rates. This seems to facilitate greater council control of local money, and encourage local authorities to promote and stimulate their local economies through developing thriving local businesses. There is genuine concern, however, that this will promote a “survival of the fittest” approach, giving councils the difficult decision to sink or swim, dependent on their resources and abilities to build and promote local businesses. What is more, the recent announcement that councils will – over the next few years – have greater control over their tax revenue, appears hindered by the requirement that they provide the centre with “efficiency plans”; providing yet another example of the centre seeking to devolve power, while clothing it in unnecessary bureaucracy. In implementing these changes, the government needs to ensure that councils have the freedom to pick and choose powers best suited to deal with local concerns. They must be able to exercise authority in locally relevant ways – not in a manner prescribed at the centre. For too long, local governmental reform has tended to exacerbate the problem by merely tweaking the existing system. What’s needed is a fundamental overhaul – and it must start at the centre. The new reforms are, to a degree, refreshing, insofar as they seek to promote a new approach to local devolution. I remain unconvinced, however, as to whether the new changes are sufficiently fundamental to break from past practices and the problems that have plagued localism reform for many, many years; with the continued financial restraints making life constantly more difficult for local councils. The Northern Powerhouse is a proposal to boost economic growth in the North of England by the 2010-15 coalition government and 2015-20 Conservative government in the United Kingdom, particularly in the "Core Cities" of Liverpool, Manchester, Leeds, Sheffield and Newcastle. The proposal is based on urban agglomeration and aims to rebalance the UK economy away from London and the South East. The proposal involves improvement to transport links, investment in science and innovation, and devolution of powers in City Deals.